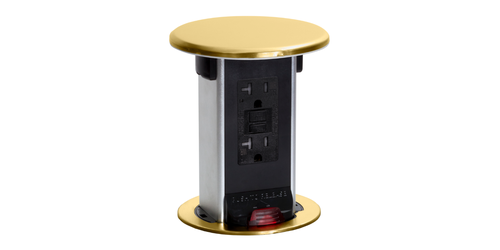 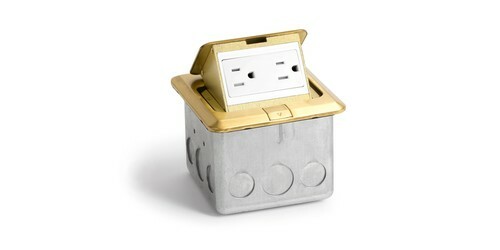 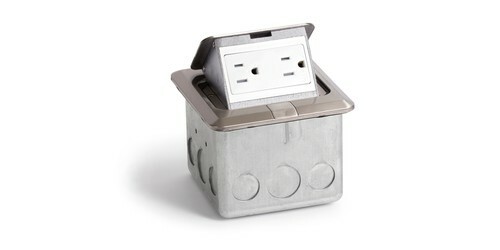 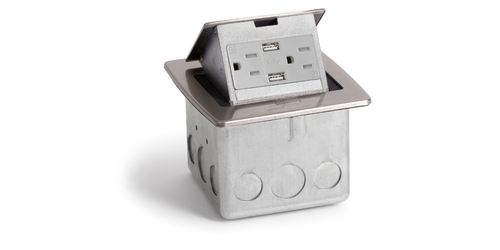 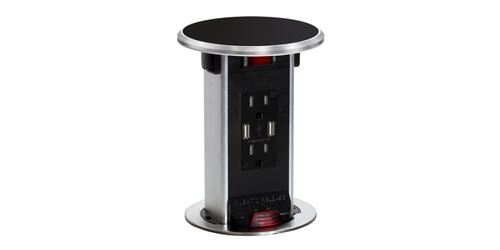 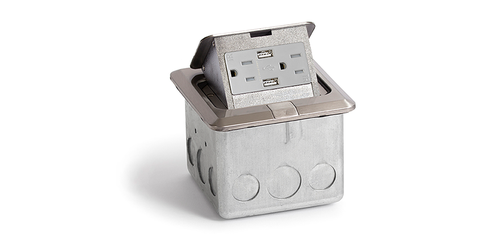 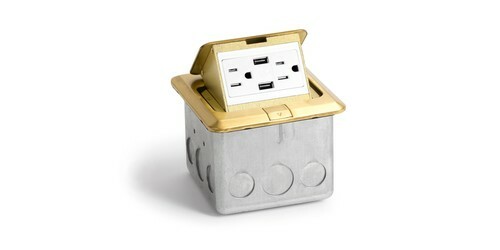 Lew Electric is making your power and USB charging needs easier in the kitchen with unique high quality countertop receptacles & floor boxes that hide your outlets when not in use. 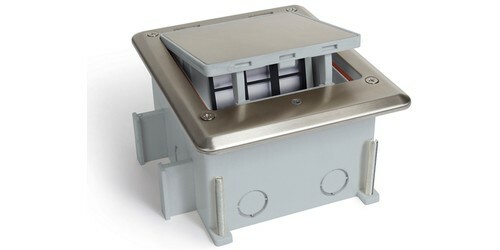 When pressed, they pop up and expose your connections. 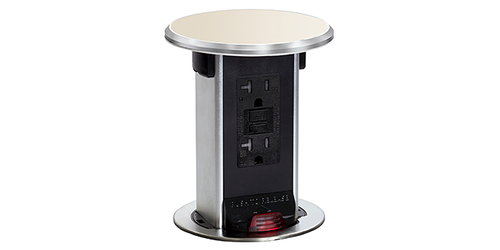 They can be recessed in any counter and are perfect in kitchens but also bars, hotels, coffee shops, or anywhere you need power in potentially wet conditions. 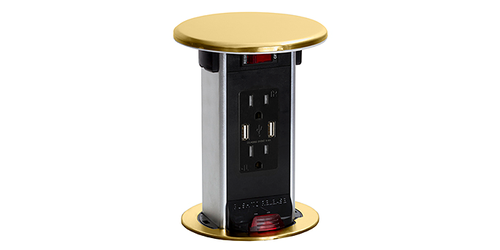 They work with any decor and come in attractive stainless steel, brass, black with chrome trim, or off-white with chrome trim. 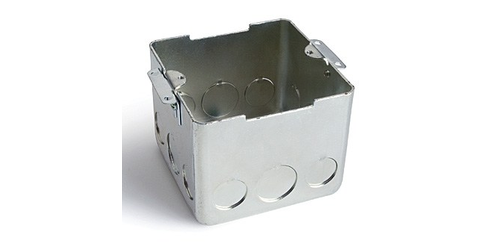 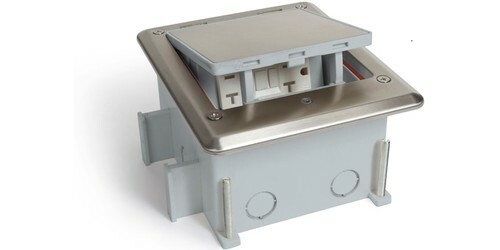 The Lew Electric PUFP-CT are square pop up electrical boxes, have hardwired power, and are splash rated. 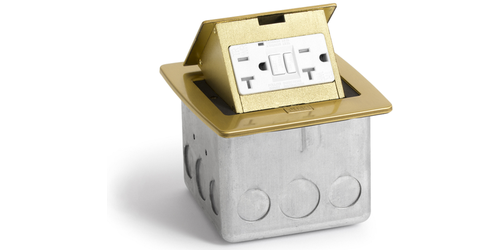 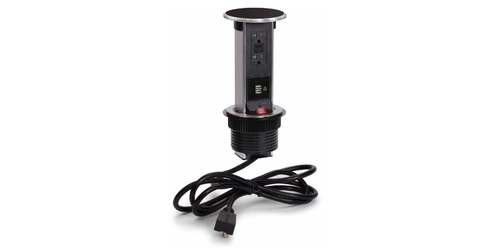 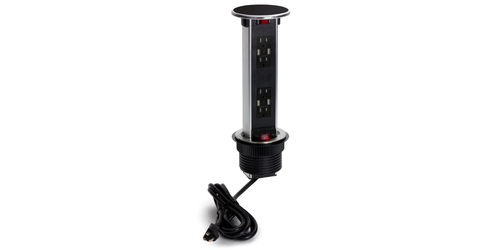 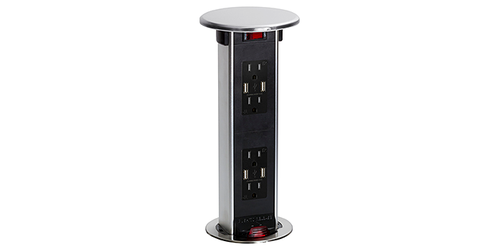 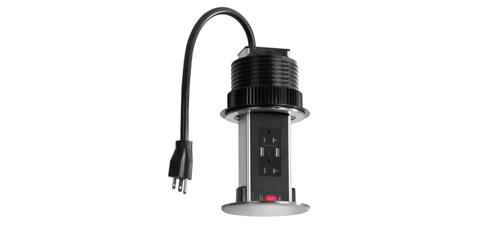 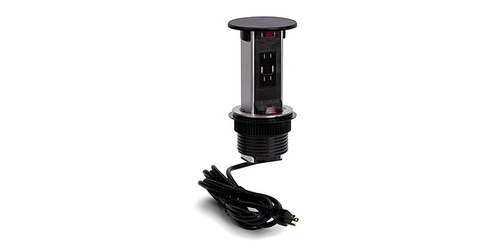 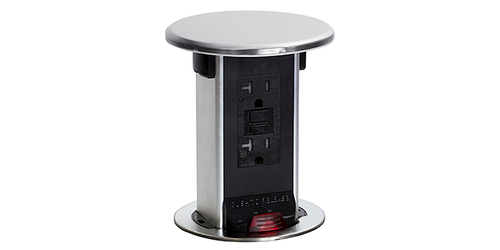 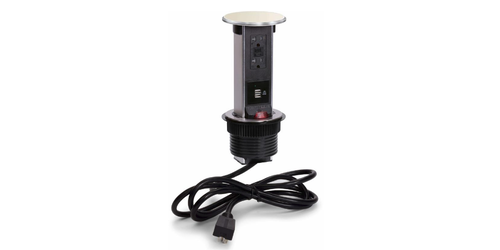 The Lew Electric PUR20 are round pop up outlets, have corded plugs, and are spill proof rated. 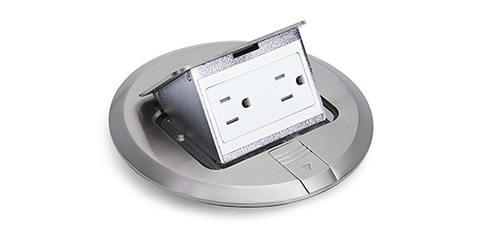 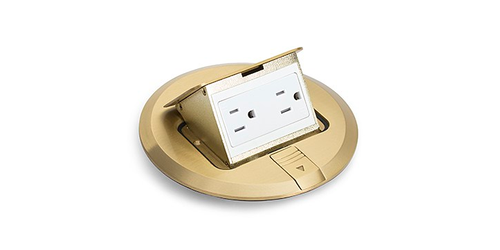 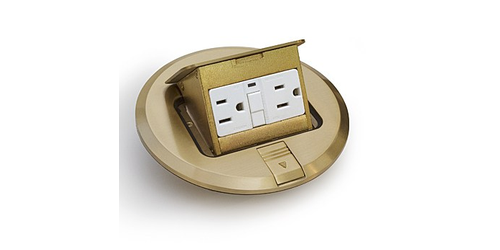 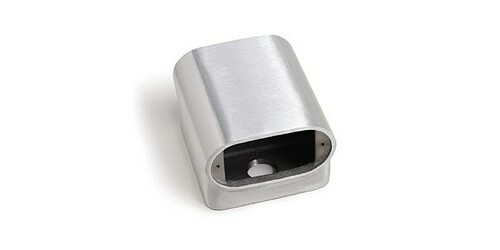 Both feature a 20 amp GFI protected outlet. 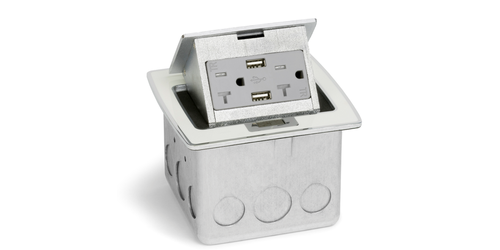 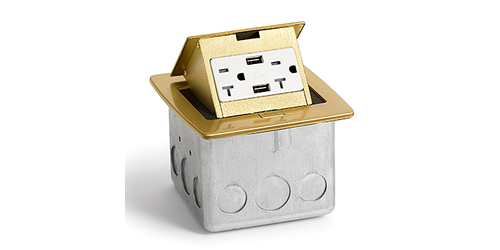 The Lew Electric PUFP-CT-2USB are square pop up boxes, have hardwired power, and are splash rated. 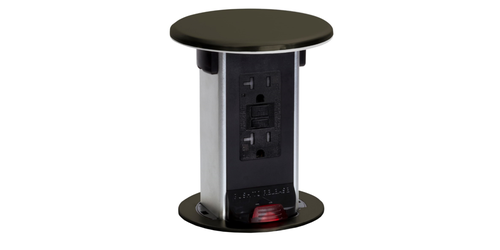 The Lew Electric PUR15 are round pop up countertop receptacles, have corded plugs, and are spill proof rated. 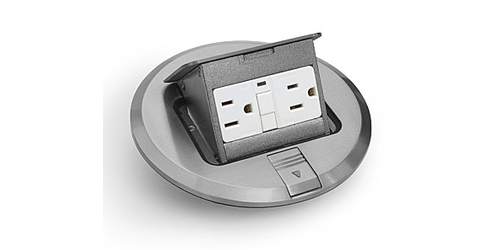 They both feature 15 amp outlets. 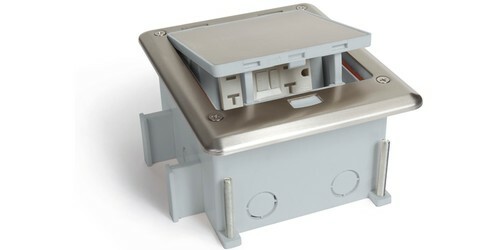 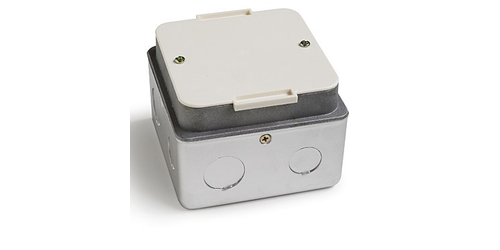 All our Lew Electric floor box and countertop receptacle models are ETL listed for kitchen use in the USA and Canada and feature tamper-resistant outlets.